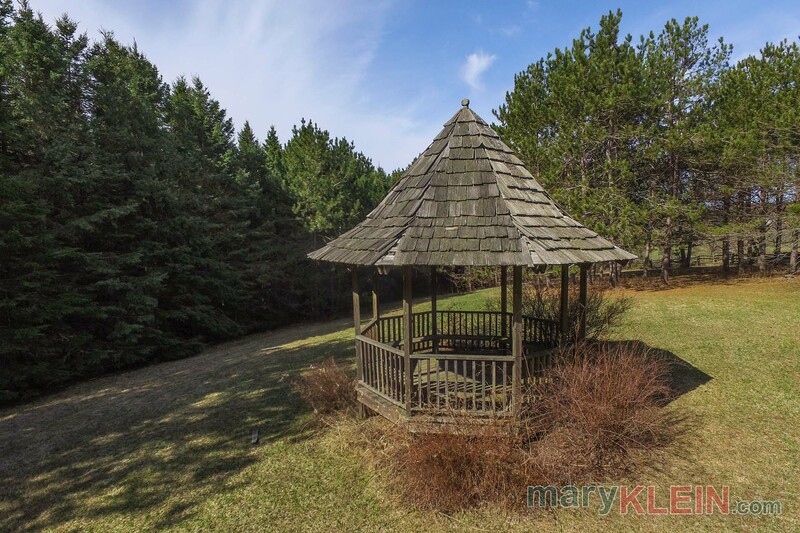 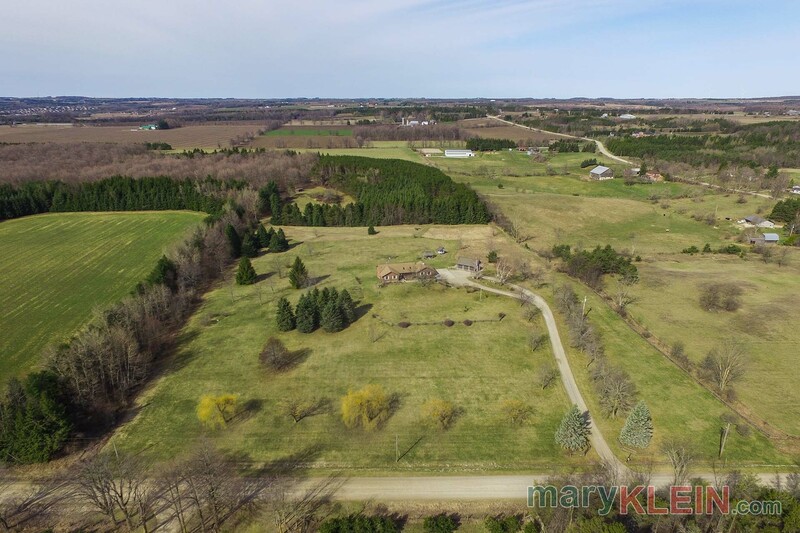 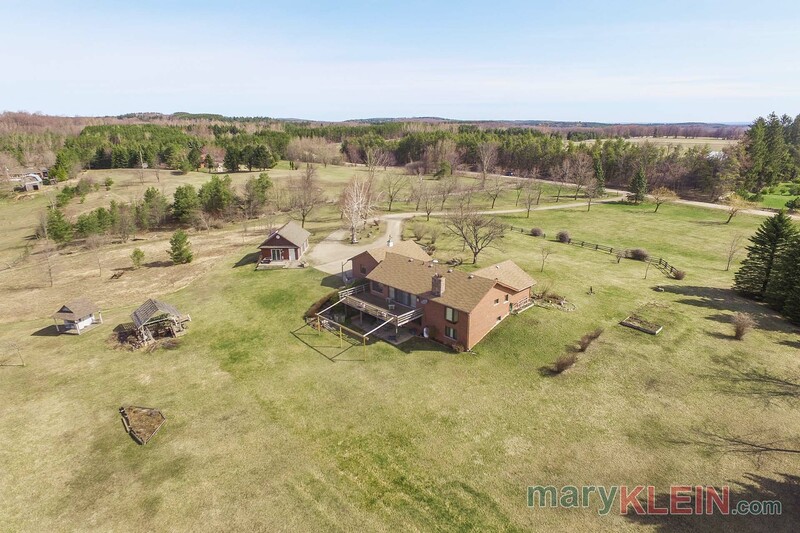 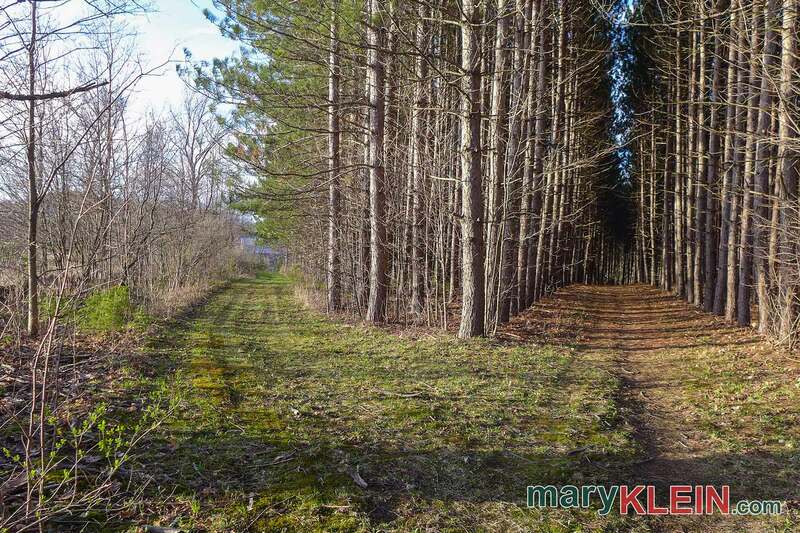 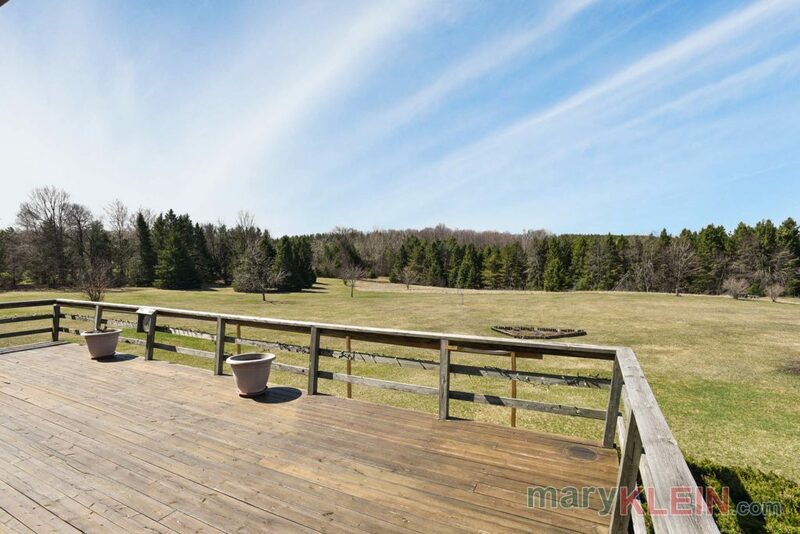 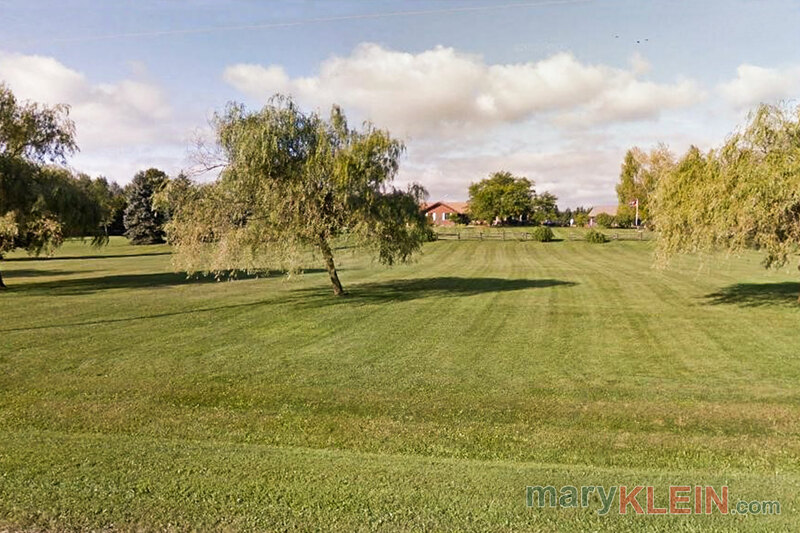 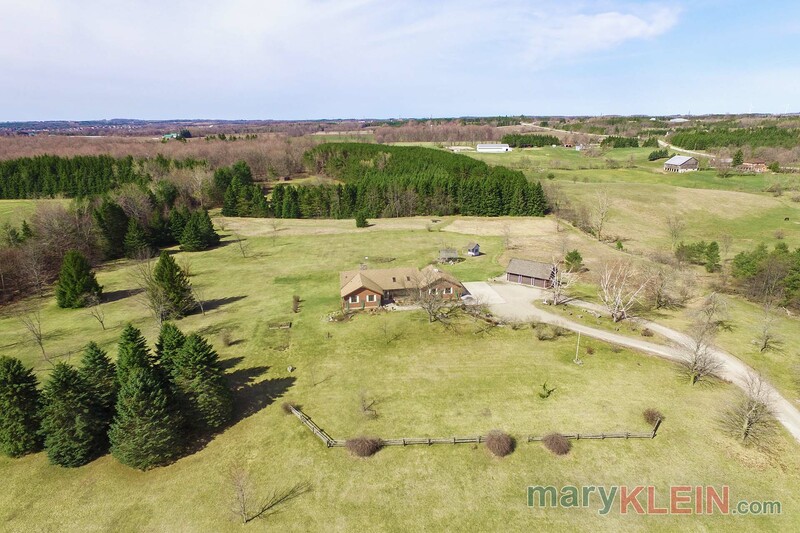 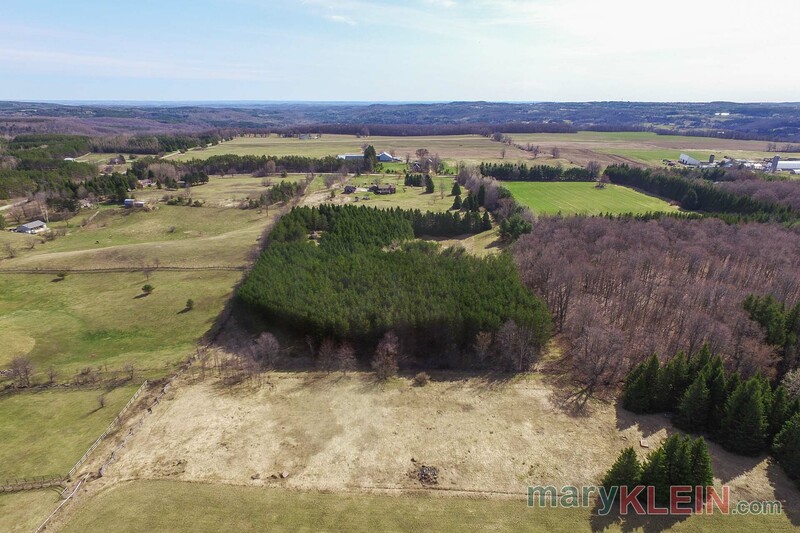 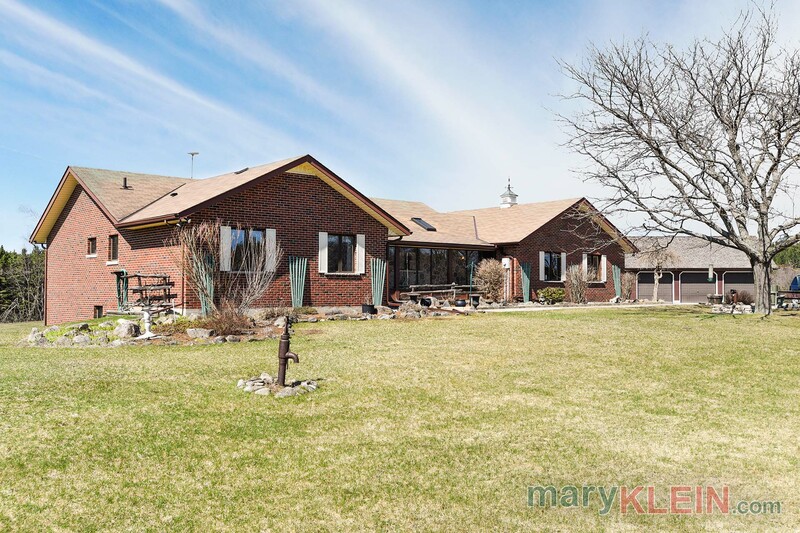  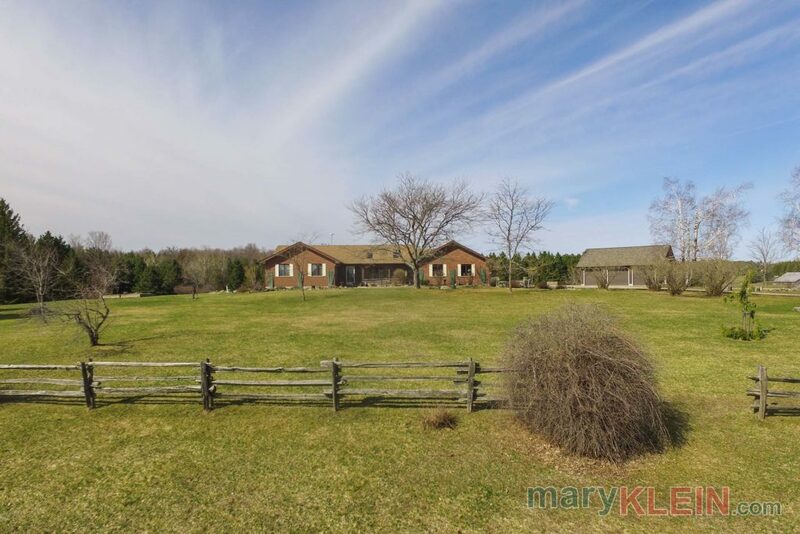 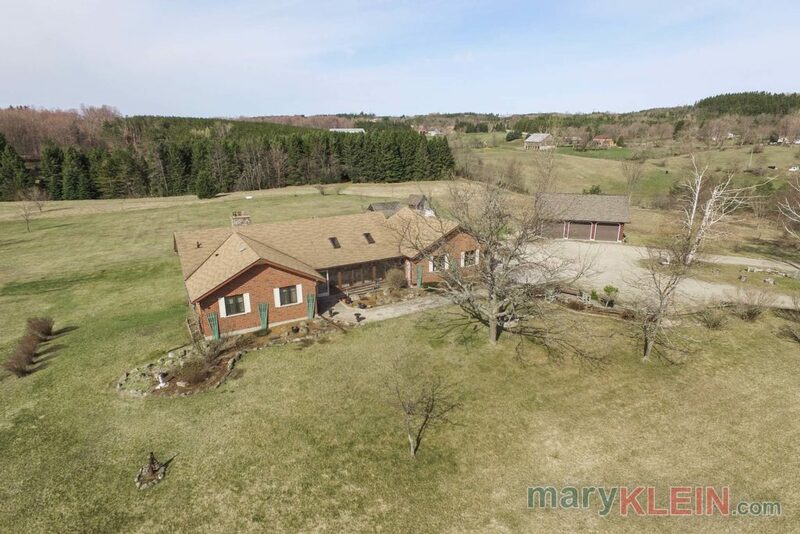 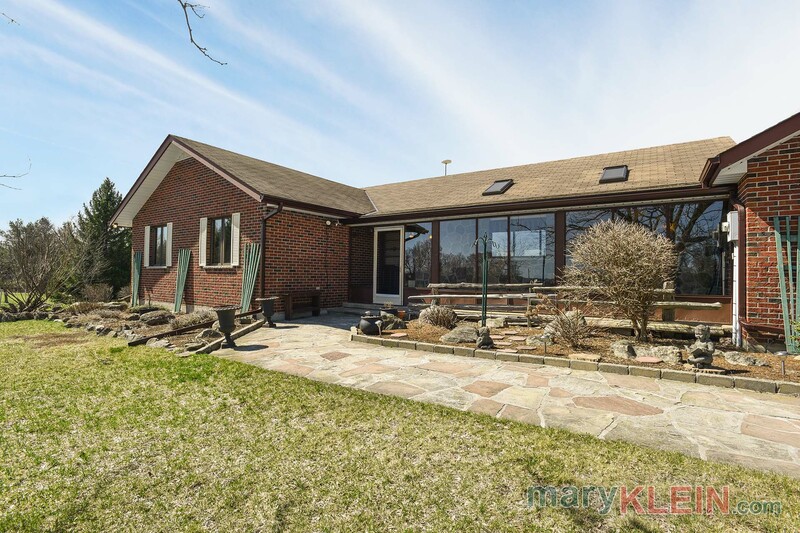 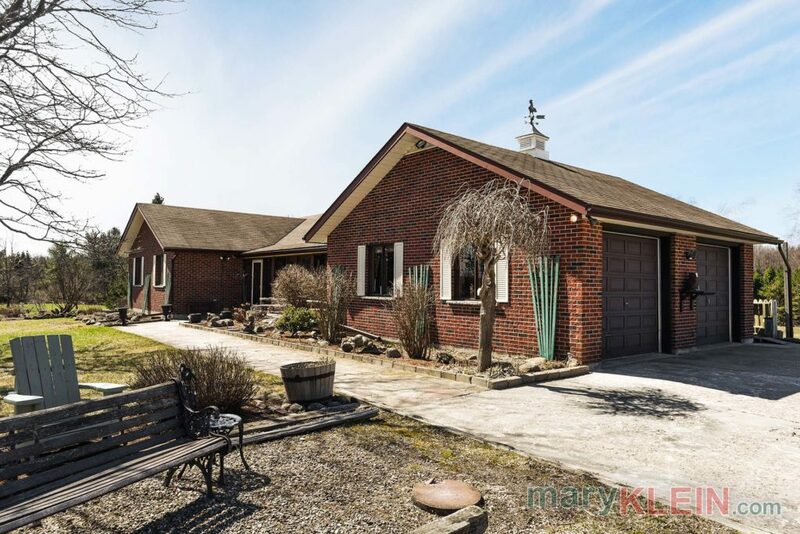 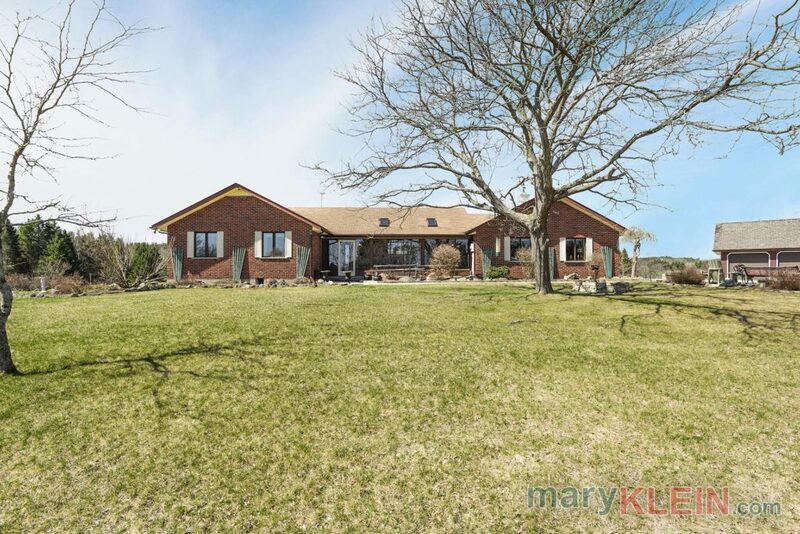 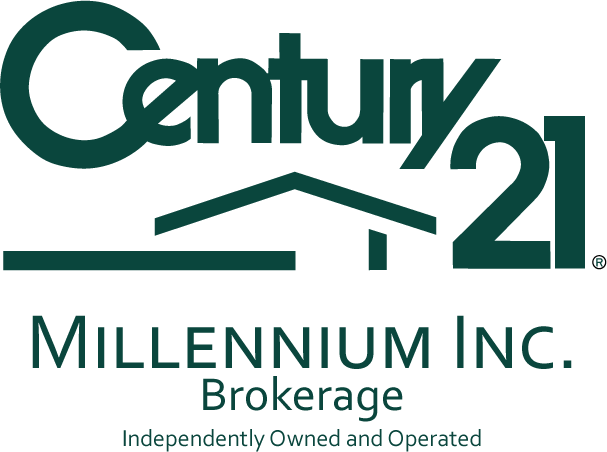 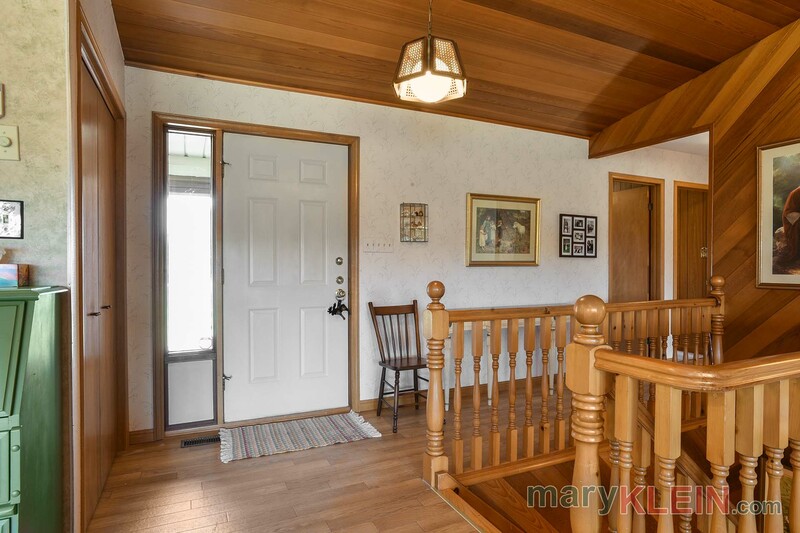 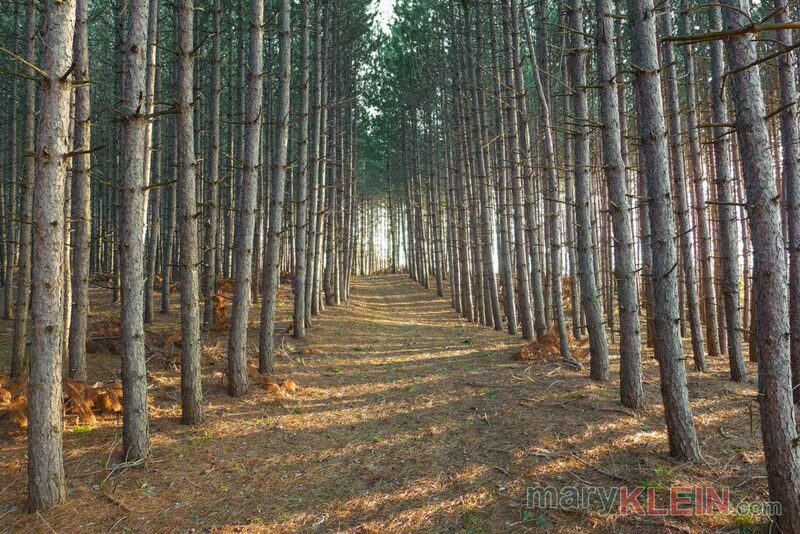 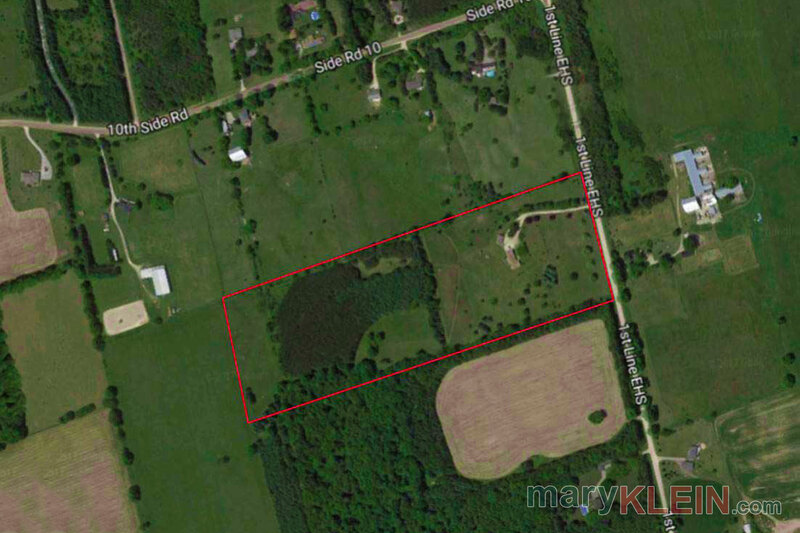 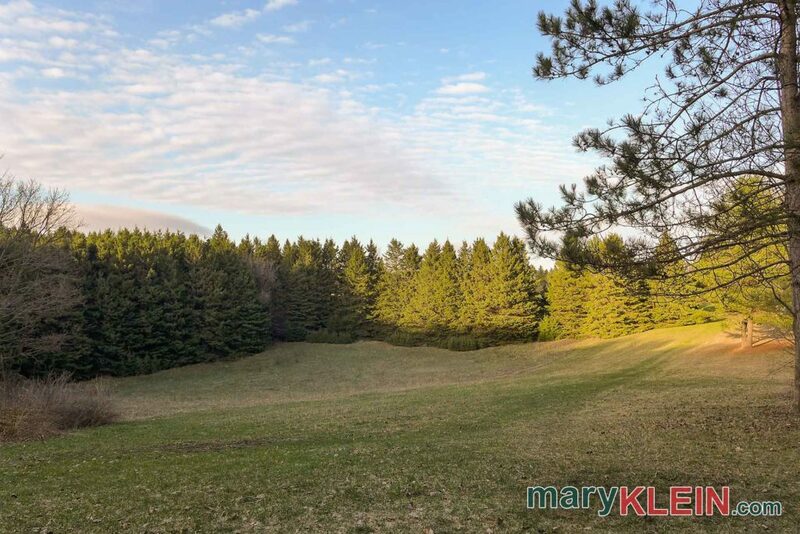 This versatile 22.49 acre property with both open land and forested acreage is in a fabulous location in south Mono, and has westerly views from the 3+2 bedroom, 2.5 bathroom brick bungalow with a finished walkout basement with separate entry, and an attached 2-car garage with loft storage. 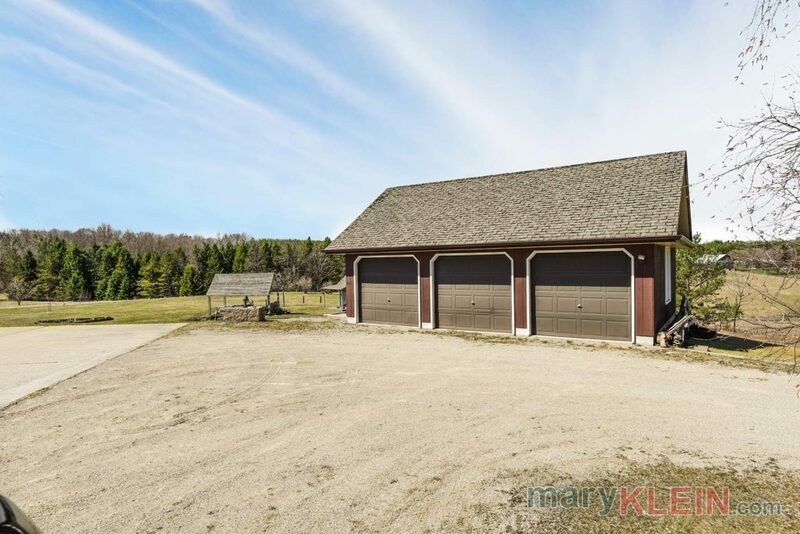 For the hobbyist or car buff there is a detached 34×20 foot Workshop with hydro. Situated well back from the road with frontage of 597.78 feet by a depth of 1,650 feet, this open concept designed home has approximately 3,000 square feet of finished living space including the bright walk-out basement. The north boundary does not include the fence which belongs to the neighbor, and the southern boundary is approximately 20 feet south of the fence. 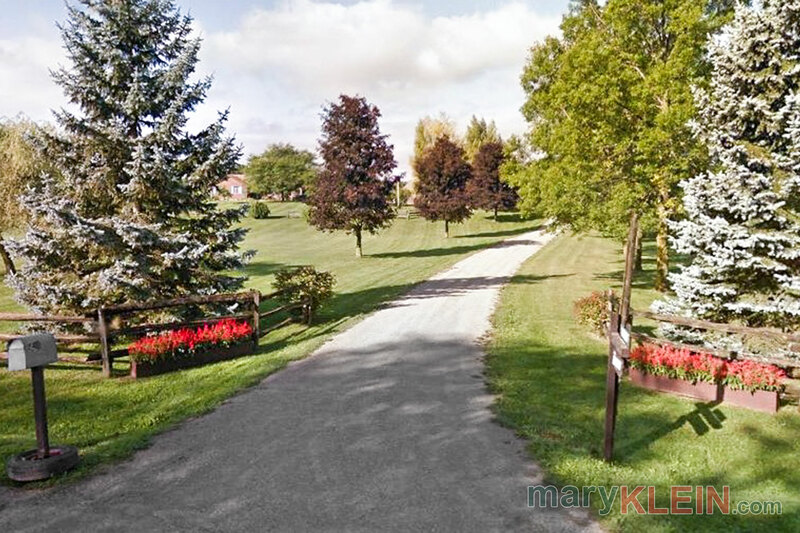 Taxes for 2016 were $6,078. Workshop: The Workshop is approximately 34×20 feet with three garage doors suitable for a car buff, machinery or storage, and has extra loft storage, a pony panel for hydro and is roughed-in for water. One bay is separated with a wall and has a potting area. There is a single door and a slider door for entry from outside. 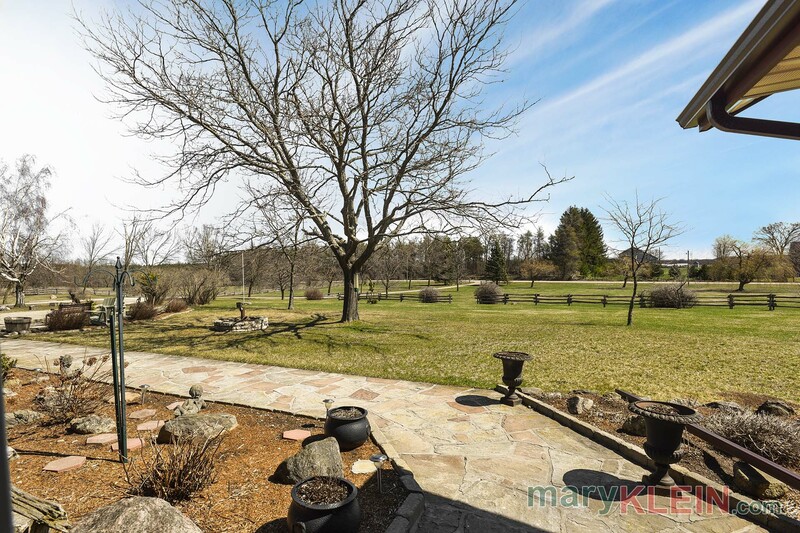 A flagstone walkway leads to the entrance with a fieldstone exterior and enclosed front porch. 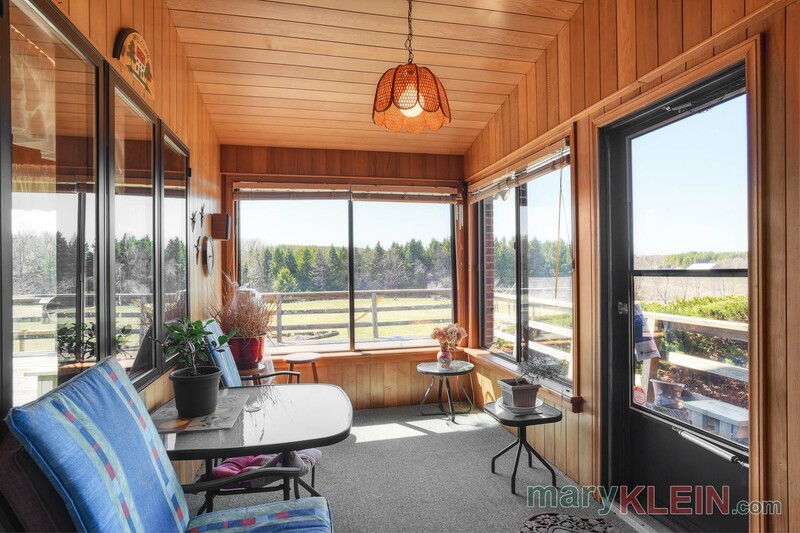 The glass panels are removable for summer enjoyment. 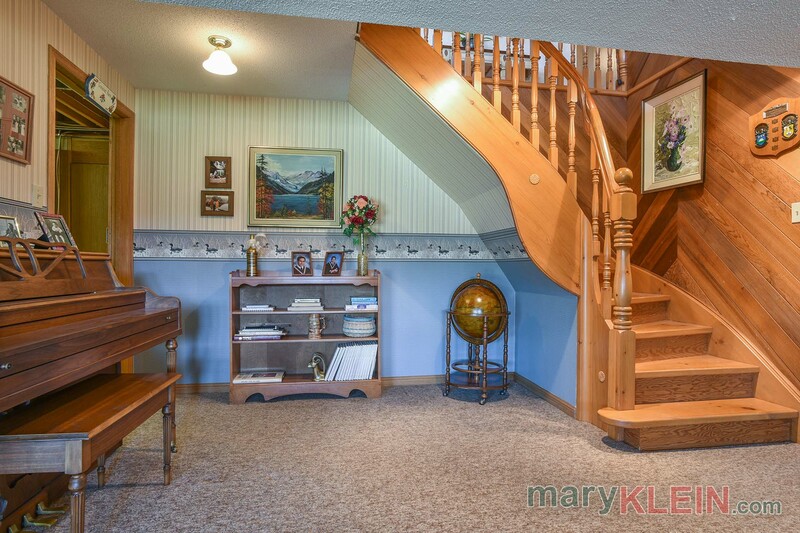 The Foyer has Congoleum flooring which continues into the Kitchen. 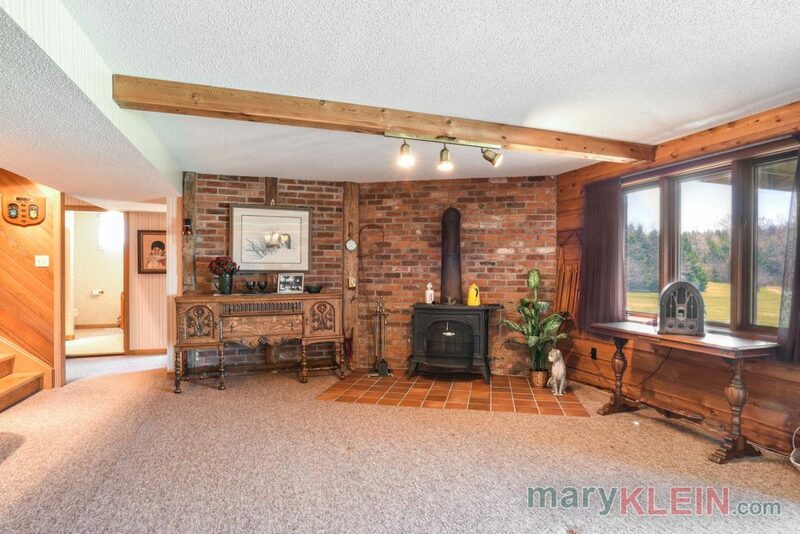 The open concept Great Room has a vaulted wooden ceiling, reclaimed brick wall with propane gas fireplace and oversized windows with westerly views over the property. 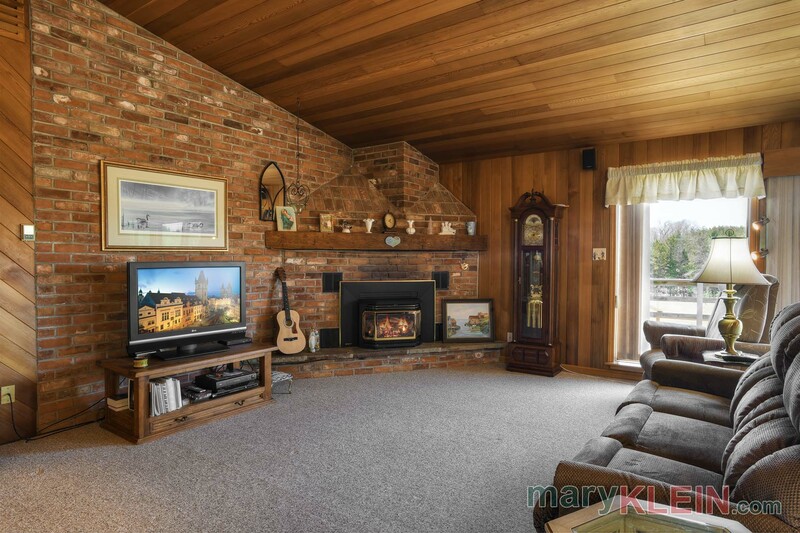 All the fireplaces in the home have interesting and unique design features. 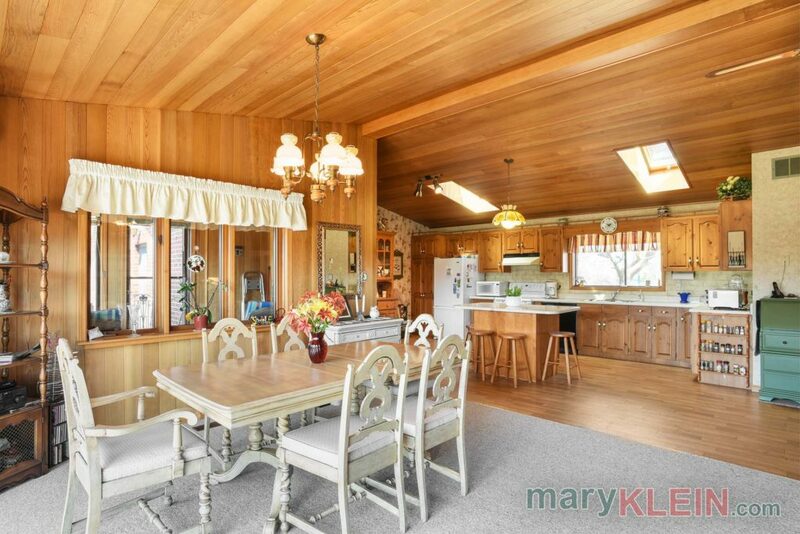 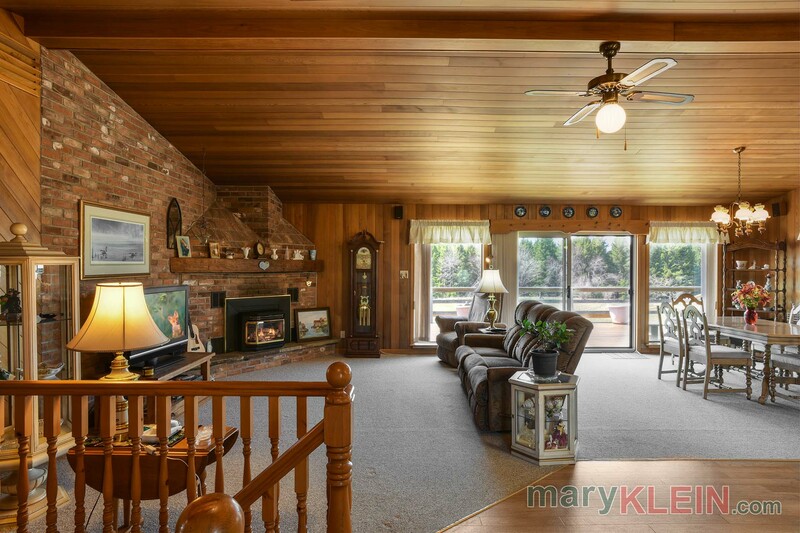 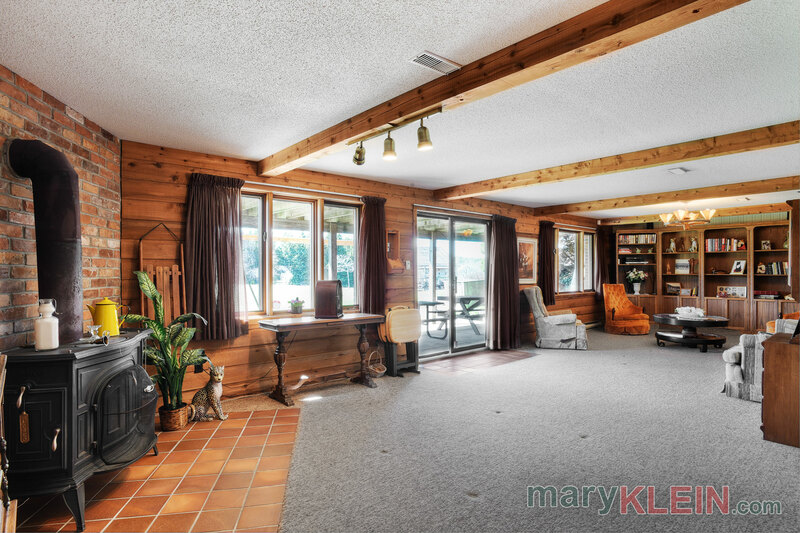 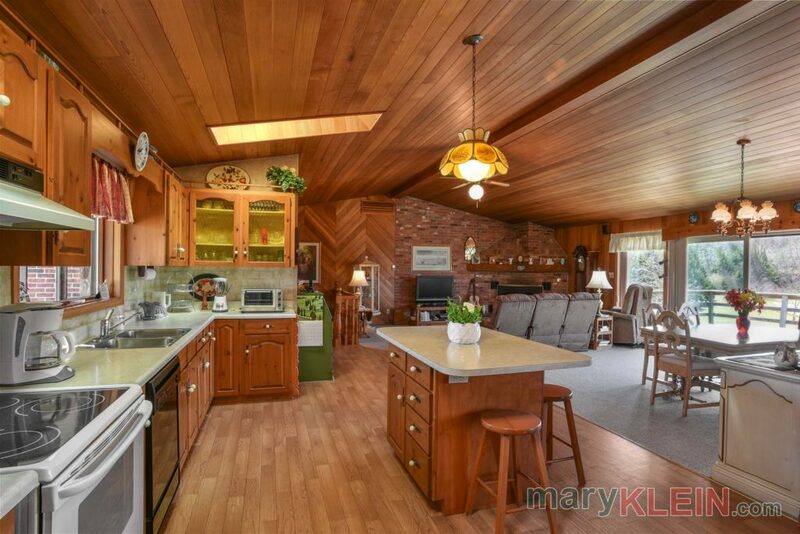 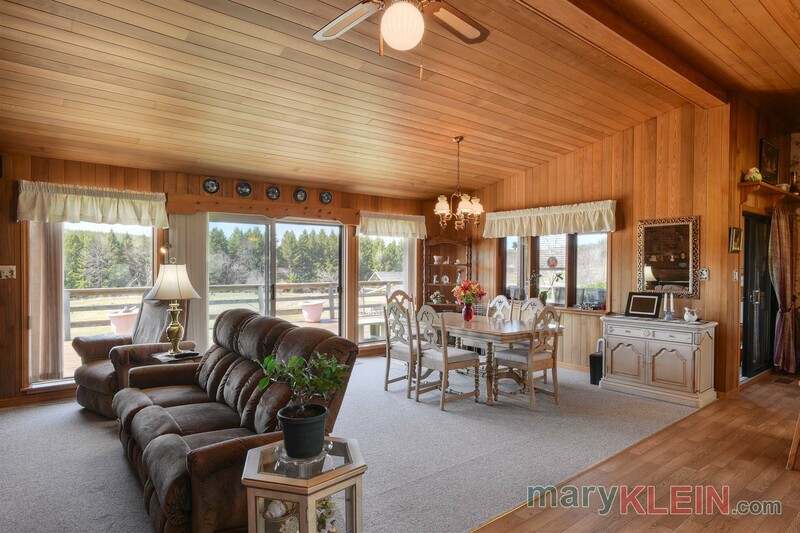 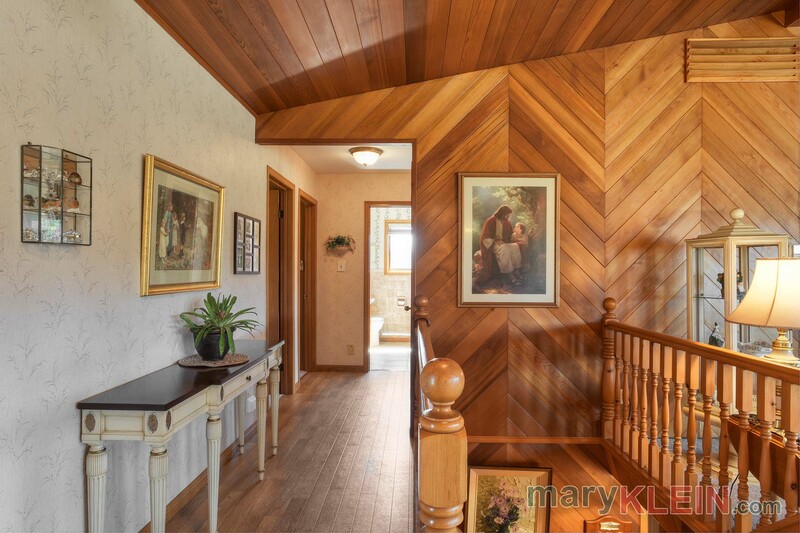 The Dining Room is open with the Great Room and has a walk-out to a massive rear deck. 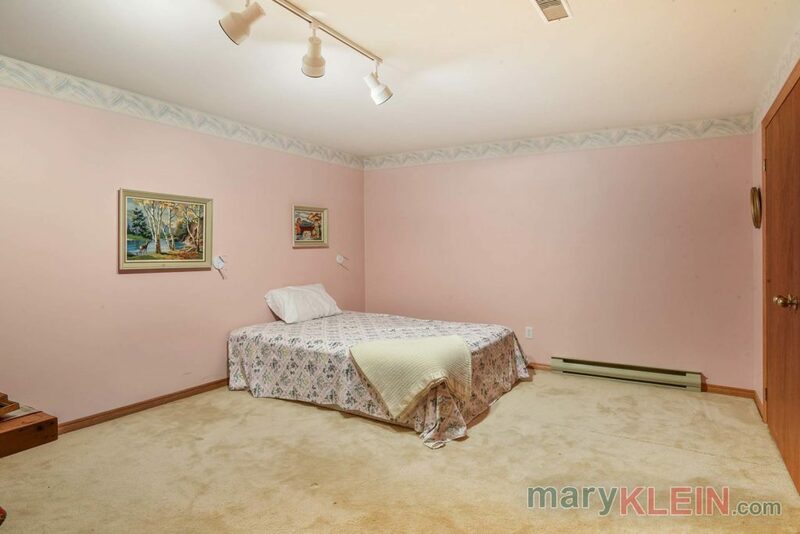 Both rooms have broadloom. There are windows which look into the Sunroom. 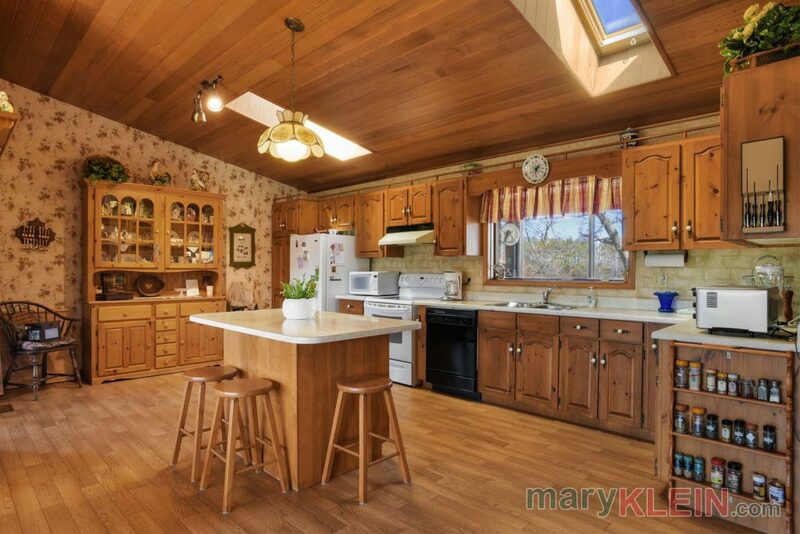 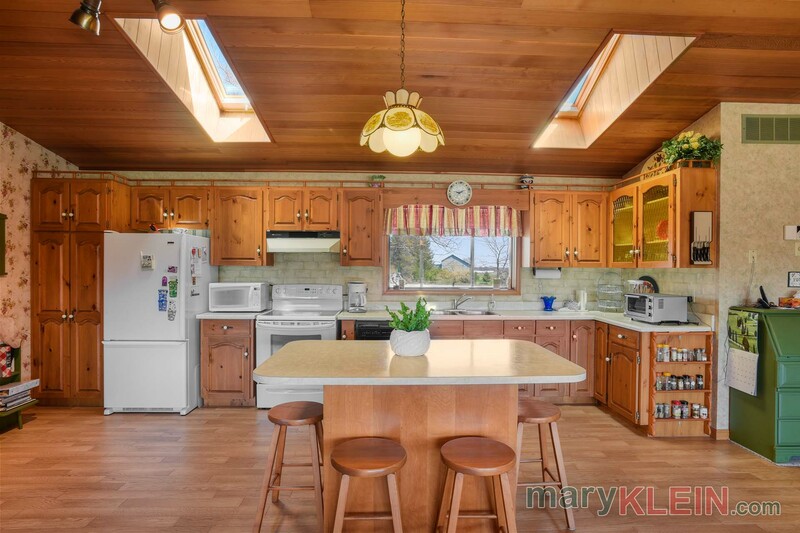 The character-filled, country Kitchen has knotty pine cabinetry, a centre island, skylights, Congoleum flooring, and is open concept with the Great Room and Dining Room. 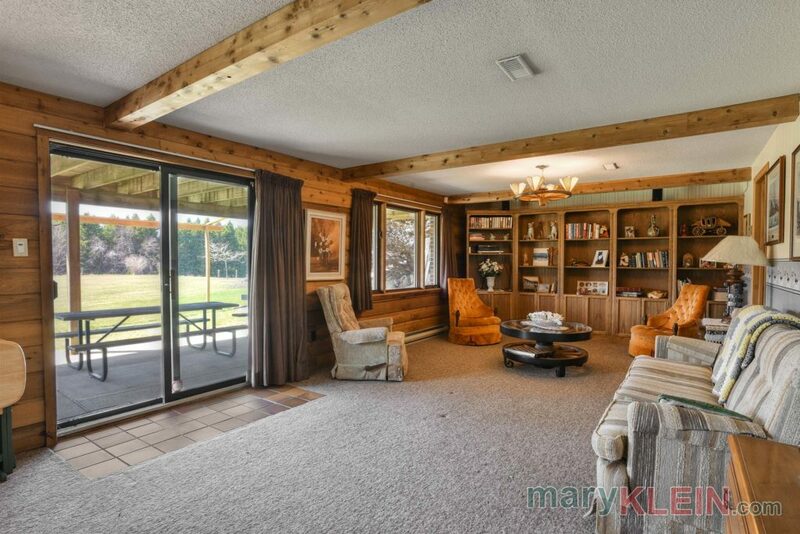 A paneled Sun Room with walkout to deck is off the Kitchen and has broadloom and many windows. 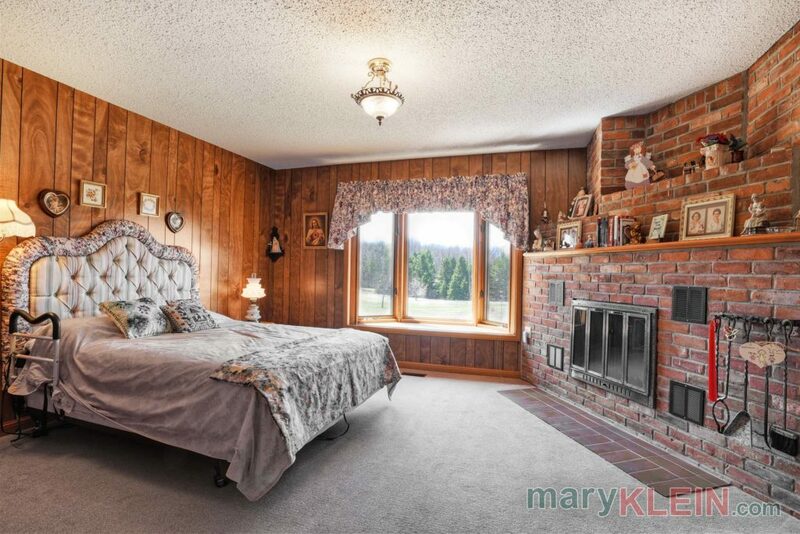 The paneled Master Bedroom has “his and hers” closets, a 2-piece ensuite, bow window and a lovely reclaimed brick accent wall with a wood burning fireplace. 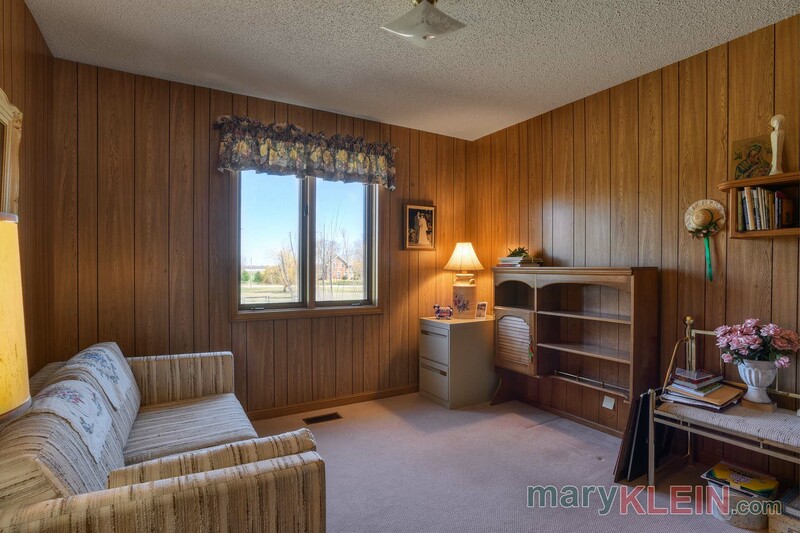 Bedrooms #2 and #3 are paneled, have broadloom, two double door closets, as well as separate single door shelved closets in each. 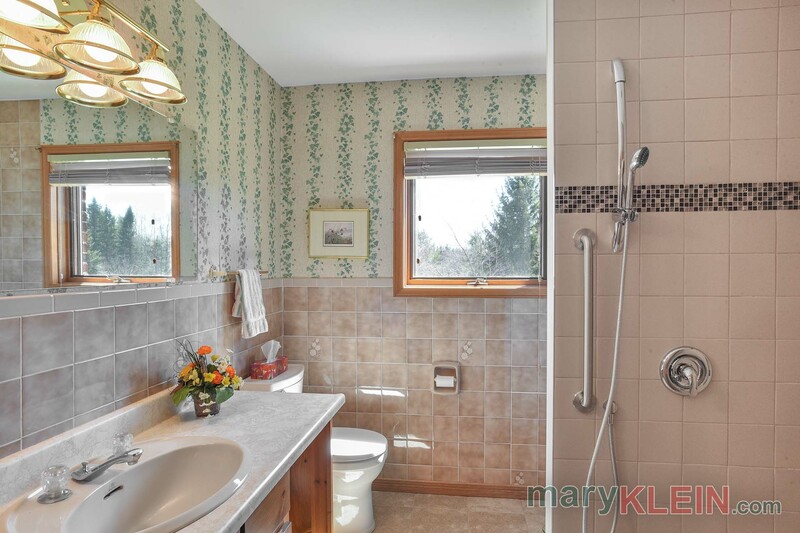 A 3-piece Bathroom accommodates these bedrooms. 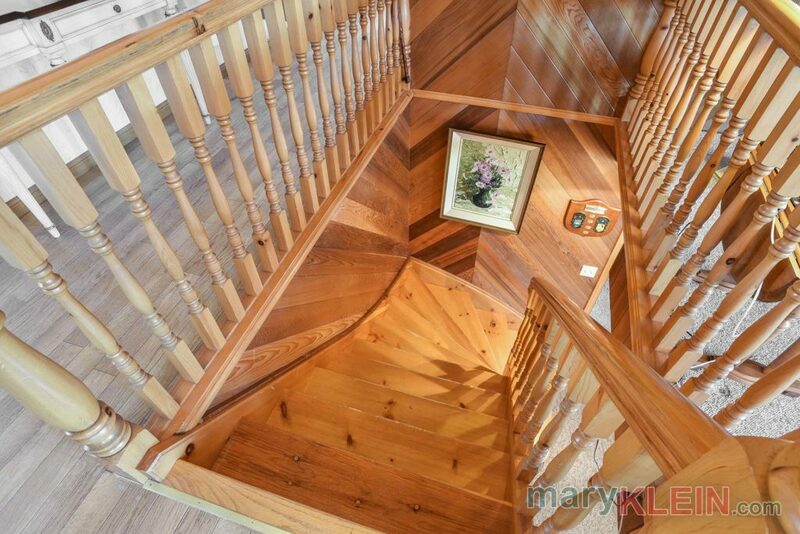 Pine stairs lead to the Lower Level which is dry-walled and has a Rec Room with a woodstove, broadloom, built-in cupboards and bookshelves, wood paneling along window wall, and a walkout to the large cement patio covered from deck above, plus a walk-up to the 2-car attached garage (two separate entries to basement). 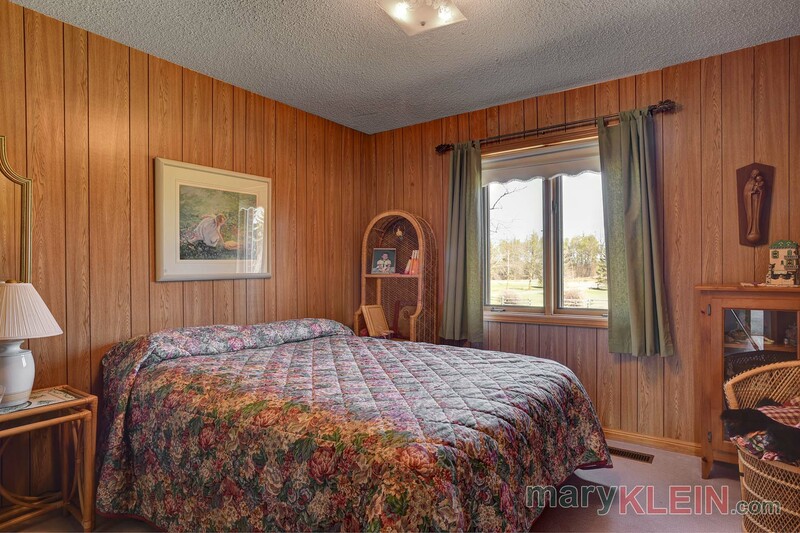 Bedroom #4 has broadloom, two double closets and is paneled. 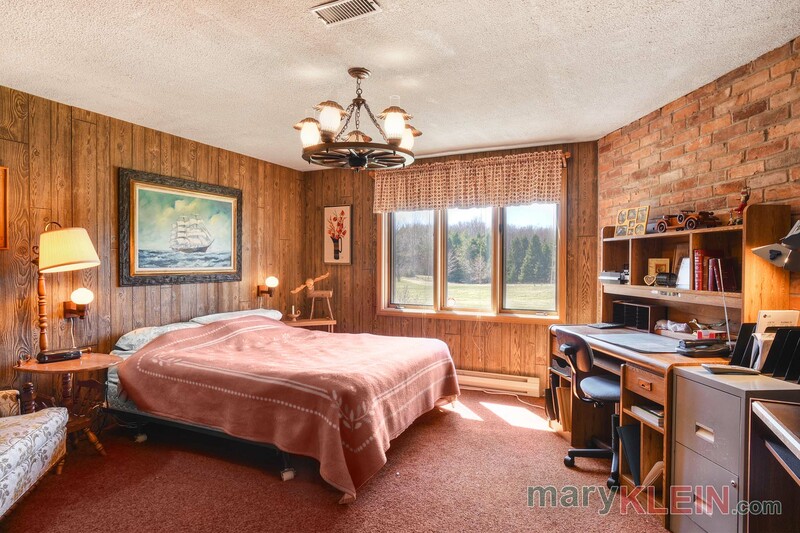 Bedroom #5 is used as a Media Room and has a huge walk-in closet as well as a separate cedar closet. 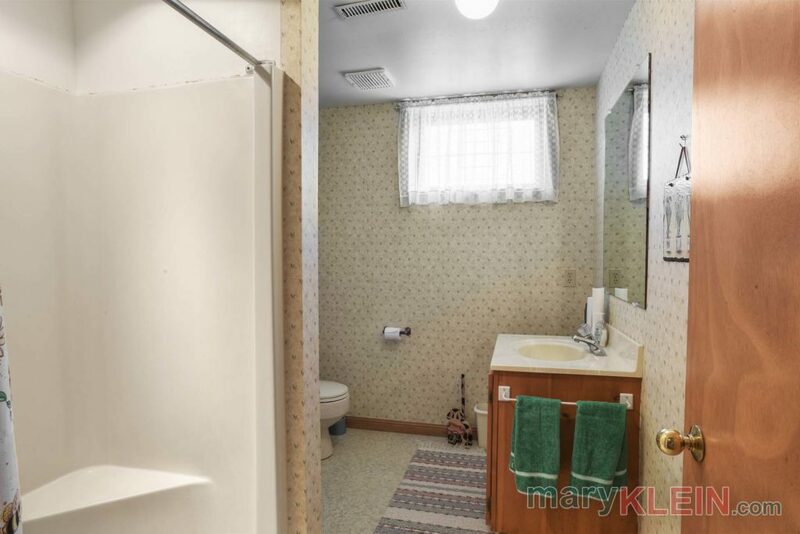 There is also a 3-piece Bathroom, a Laundry Room with lots of closets, and extra pantry area in the lower level. 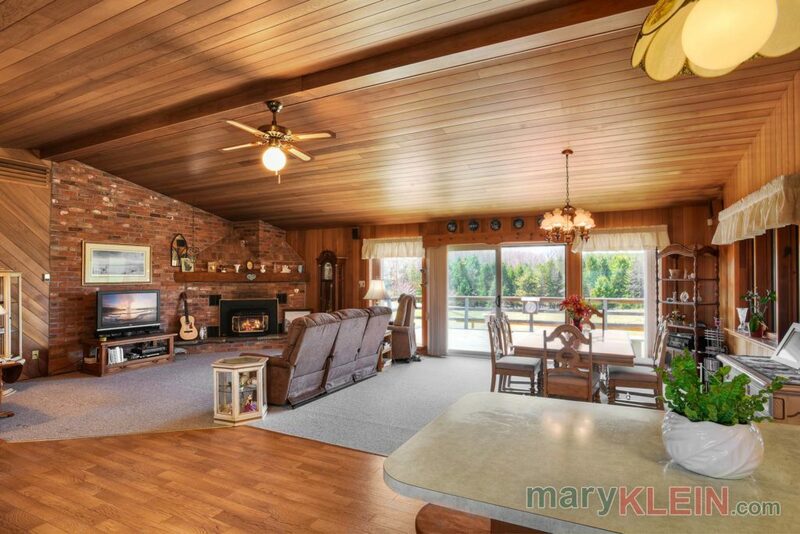 Mechanicals: concrete brick foundation, plywood sub-flooring, 200 amps with a pony panel, electric forced air furnace supplemented with electric baseboards, a propane fireplace & 1 wood-burning fireplace and 2 woodstoves (one “as is” in garage, one in basement), roof shingles replaced approximately 4 years ago. There is no central air conditioning. Hydro costs for last 12 months were $4,775. 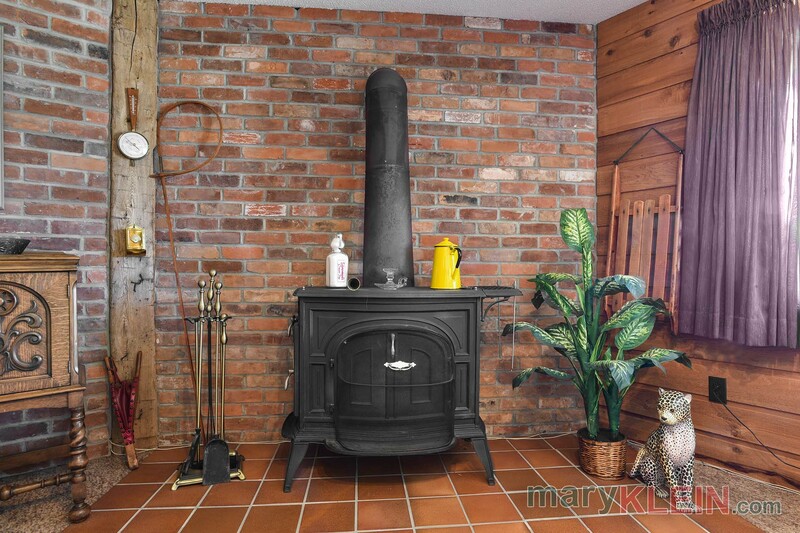 Propane costs for the fireplace would depend on the new owner’s personal usage. 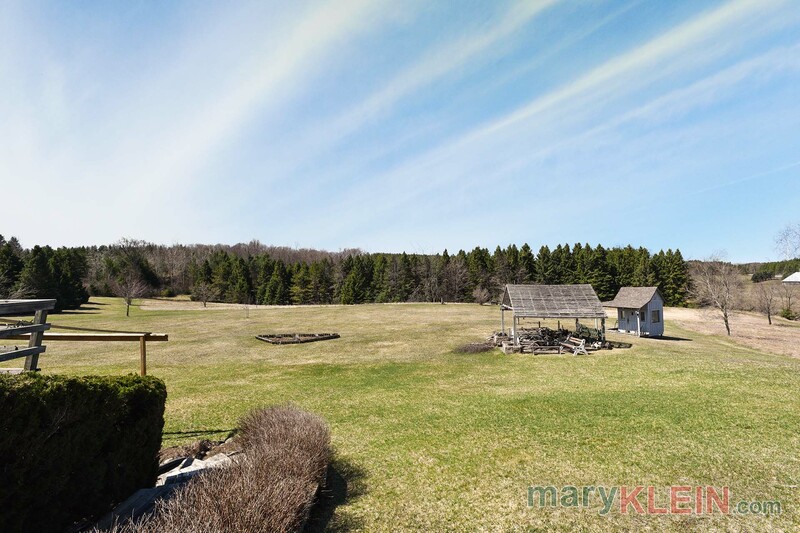 There is a drilled well (front) and a septic system (rear). 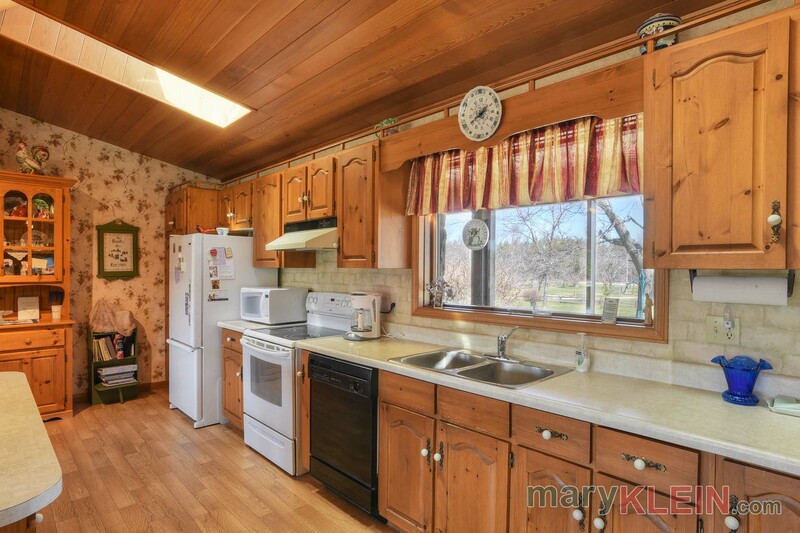 Included in the purchase price is the fridge, stove, dishwasher, washer, dryer, basement freezer & fridge, kids playhouse, shed, gazebo, central vacuum system & attachments, 2 garage door openers, hot water heater, all window coverings and electric light fixtures. 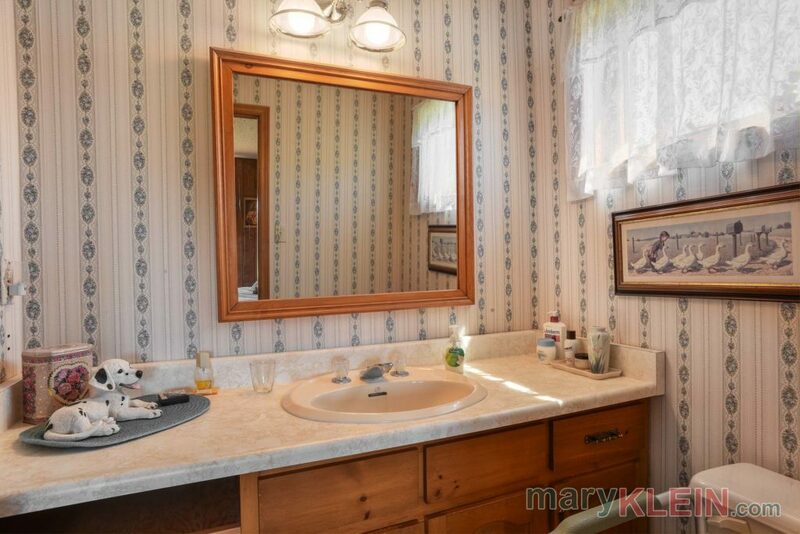 All chattels in “as is” condition. 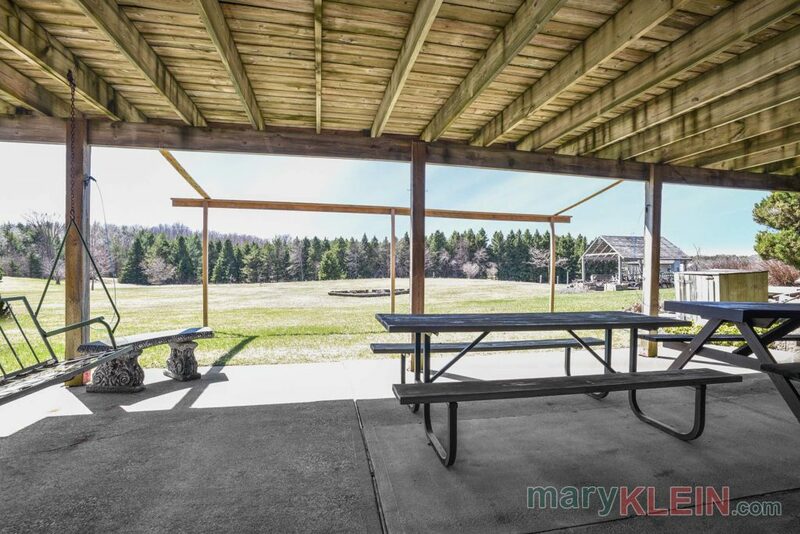 Propane tank is a rental. 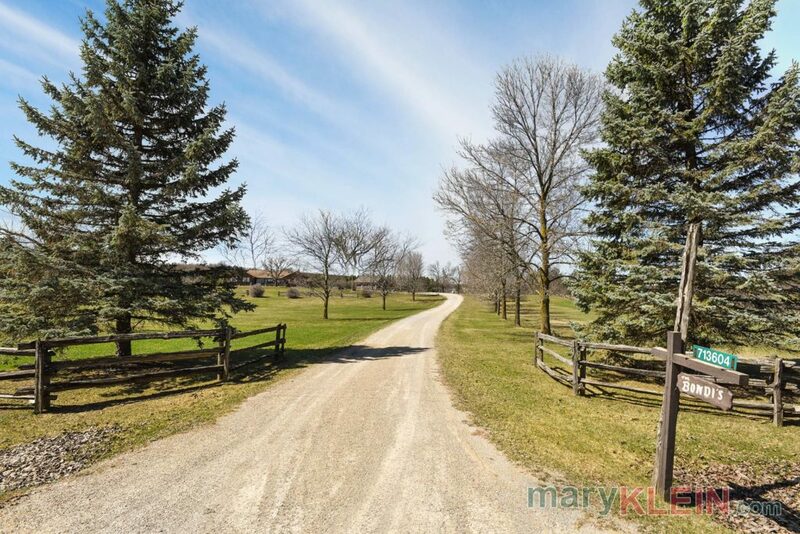 This beautifully maintained property is only 10 minutes to Orangeville with all its amenities including Headwaters Health Care Centre on Highway 9. 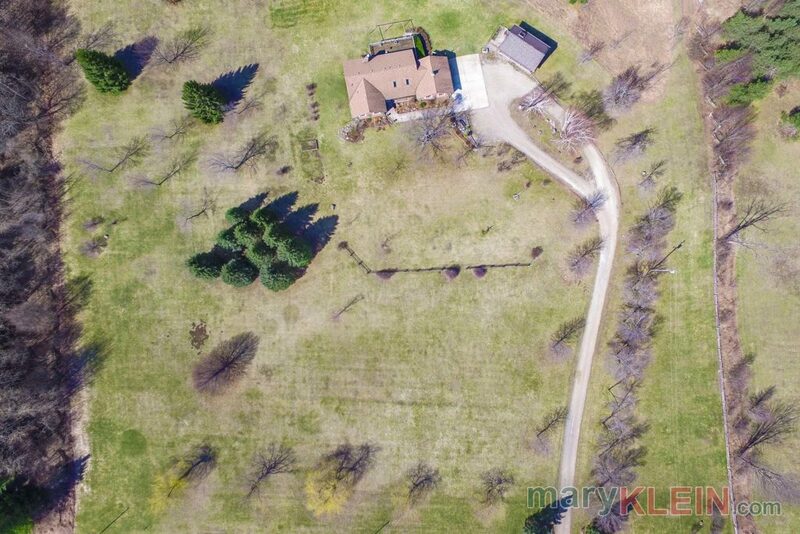 Do You Have a Question About This 3+2 Bedroom Bungalow Located in Mono on 22 Acres?